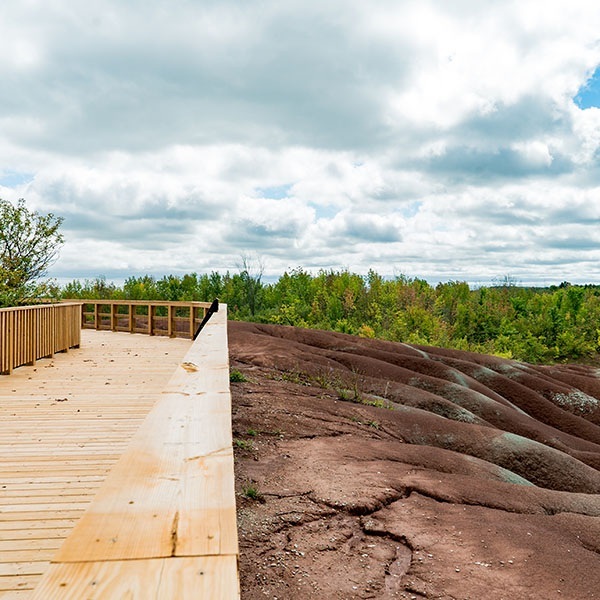 The Ontario Heritage Trust – along with its managing partners, the Credit Valley Conservation and the Bruce Trail Conservancy – are proud to announce the reopening of the Cheltenham Badlands. The Cheltenham Badlands is one of Ontario’s geological treasures, first formed at the base of an ancient sea over 400 million years ago. The site is a provincially significant Area of Natural and Scientific Interest and one of the most recognizable and visited natural heritage landmarks in southern Ontario. Please come to enjoy the view but be sure to park legally in the parking lot or use the shuttle bus service offered from Terra Cotta Conservation Area. All visitors are asked to be good to the Badlands and stay on the trails and boardwalks so that future generations can continue to enjoy this site. 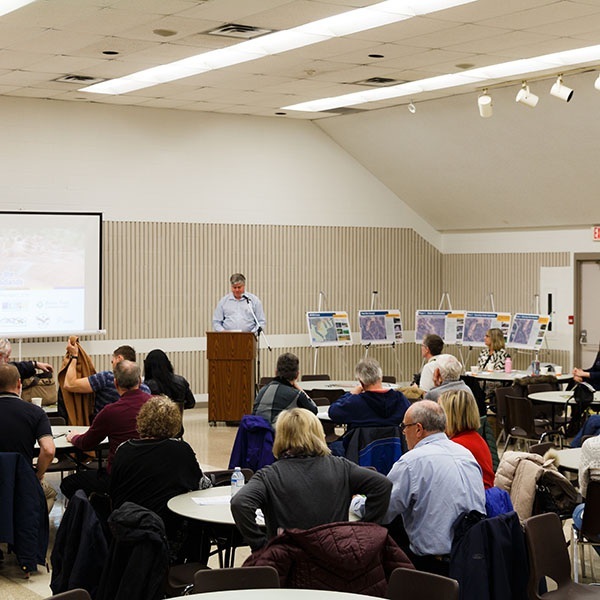 The work of the Trust in conserving Ontario’s heritage would not be possible without the support of donors, corporate sponsors and partners across the province. Your support will ensure that the Cheltenham Badlands are enjoyed by future generations. Cheltenham Badlands is a unique and spectacular natural landscape feature in southern Ontario at risk of damage from intense public use. The Trust undertook a project in 2017-18 to improve access to the site, upgrade the trails, enhance public safety and introduce new trail wayfinding and onsite/virtual interpretive features. The Trust would like to acknowledge the Government of Ontario’s and the Government of Canada’s financial support for this project. The Trust would also like to acknowledge the support provided by the Region of Peel and the TD Friends of the Environment Foundation.